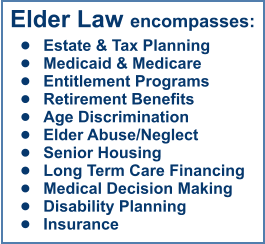 Elder law includes specific considerations for people as they approach their golden years. Life has a way of moving along and one day you find yourself thinking about your future care. Our firm has the expertise to help guide you through those considerations. We can help you ensure where you will live and how those costs will be covered, who will help you make important decisions about your health and care, and how you can continue to live life the way you want to, without putting undue burden on your family. As you plan for long-term care, it is important to keep these things in mind. Ingersoll Firm can help you create a plan that is just right for you. The National Elder Law Association estimates that approximately Seventy Percent (70%) of people over the age of 60 have failed to establish any form of long-term care plan. However, if simple preventative steps are taken by planning then disaster can be avoided. Power of Attorney and Health Care Power of Attorney These simple documents will appoint an agent to act on your behalf when suffering from incapacitation or incompetence. If no Power of Attorney exists then the only option left in making decisions is through guardianship. Guardianship is a court governed procedure which is costly, time consuming, and a difficult and humbling task wherein family members must testify to a loved one's incompetency in a public hearing. Wills and Trusts Planning carefully also means establishing Wills and/or Trusts which distributes property to family with little loss of assets due to taxes, probate, or Medicaid Recovery payments to the state. We focus our law practice in North Carolina elder law issues, and our firm can help you plan for care in your later years. Long-Term Care Planning is the best way to make sure you have choices as you age. Contact Ingersoll Firm if you or a loved one needs help establishing a long-term care plan or any other facet of elder law. We understand the importance of planning for care and we’re here to help. 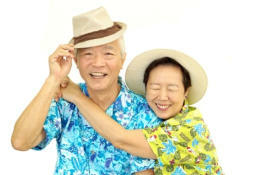 Elder law includes specific considerations for people as they approach their golden years. Life has a way of moving along and one day you find yourself thinking about your future care. Our firm has the expertise to help guide you through those considerations. We can help you ensure where you will live and how those costs will be covered, who will help you make important decisions about your health and care, and how you can continue to live life the way you want to, without putting undue burden on your family. As you plan for long- term care, it is important to keep these things in mind. Ingersoll Firm can help you create a plan that is just right for you.